Living in a small apartment is a great way to save money, especially in a bigger city where the rents can cost more than for luxury homes in other parts of the country. But just because you live in a small apartment doesn’t mean you have to sacrifice what you need in a home. It also doesn’t mean that you have to sacrifice style. 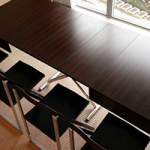 Who has space for a formal dining table in a small apartment? Many small apartments don’t even have room for a two-seater. There is just a counter to pull up some bar stools and eat like you’re at a diner. So does that mean that you can’t ever invite people over if you live in a small apartment? Or that you can never host a romantic dinner for two? No. You just need an expanding dining room table. The table starts as either a coffee table or a console table, and it expands to become a dining table. Some coffee tables just have a lift top that rises to dining level and is big enough for two. Other coffee tables rise up and out, allowing you to add eaves and seat as many as eight to 10 people. You can just move a few things around when you need the space for a dinner party, or you can use the table exactly where it is, depending on your configuration. But you won’t have to dedicate floor space to a large dining table that you don’t use every day. Sleeper sofas are underrated pieces of furniture. 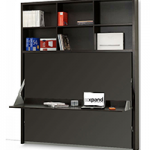 They let you easily convert your living room or home office into a guest bedroom. Or, if you live in a really small apartment or studio space, you can make sure that you actually have a living room and a bedroom, so that your bed isn’t the first thing people see when they walk in the door. You can even get sofa bunk beds. Some are designed like the wall bed with the mattresses pulling down from the cabinet, and some are tucked inside the couch just like a sleeper sofa. Imagine using these in your children’s room and all the space they would save you! 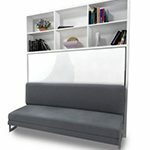 Hidden desk sofa beds also add a study space without taking up any more room. You can get much more out of your space without actually expanding your square footage. You don’t have to limit your choices for just potential guests. You may want a multi-functional for your own room so that you can reduce clutter in the small space or just make more room for things you want, like exercise equipment or a study area. 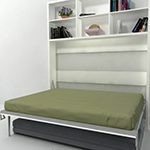 For example, choosing a hidden desk sofa bed will allow you to easily convert your bedroom to a study space without having to store a desk or to move furniture around when you want to change gears. Wall beds with shelves also give you options for storing more of your personal items so that your closets aren’t packed to the brim and your floors and dresser tops aren’t overloaded with clutter. 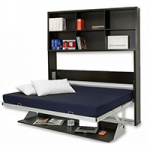 With the right bed, you’ll create a beautiful space that can also accommodate whatever you want to do it. 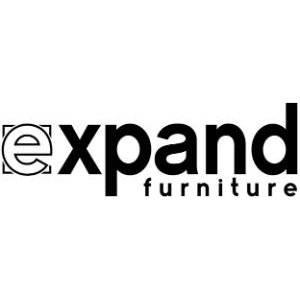 Expand Furniture has plenty of options for all these bed types, as well as for expanding dining room tables to help you furnish your small apartment in style. 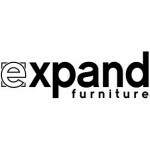 All of our furniture is designed to look stylish and to be practical, such as by serving more than one purpose and by being of high quality for a long life span. Explore our catalog to find the pieces you need for your small apartment, or talk with one of our friendly professionals to get some tailored recommendations.